Apple cider vinegar (ACV) ranks as one of the best natural remedies for healing the body from almost anything. ACV can be used as an antiseptic and is rich with minerals like magnesium (most of us are magnesium deficient) and pectin. Apple cider vinegar has many other uses, from DIY beauty remedies to cleaning, gardening, and pet care. It’s important to look for raw, unfiltered, unpasteurized, organic ACV, you probably won’t find it in the grocery stores, but it health food stores or on Amazon. 1.5 What is the “Mother” in the Apple Cider Vinegar? 1.6 Can You Take a Bath in Apple Cider Vinegar? 1. Body Detox – easily cleanse your liver and kidneys (no more chronic fatigue): Add 2 tablespoon of apple cider vinegar to a 1 or 2 liter filtered water bottle. Drink this throughout the day to cleanse your body and kidneys all day long. 2. Sinus infections and chest colds Cure – add 1/4 cup or more vinegar to your vaporizer. To relieve a cough, mix half a cup of ACV, half a cup of water, 1 teaspoon cayenne pepper, and 4 teaspoons of organic honey. Take 1 spoon when a cough “acts up” and one more before you go to bed. By the way, here’s my post about how I naturally cured my sinus infection in 2 days. 3. Weight Loss – ACV breaks down fat and promotes metabolism. This, however, was never scientifically proven. Some suggest that it works by alkalizing your body. 4. Lower blood pressure and cholesterol – in as little as 2 weeks! A large observational study also found that people who added oil and vinegar dressing on salads five to six times a week had lower rates of heart disease than people who didn’t. Did you know that a certain breathing exercise is scientifically proven to reduce your blood pressure in just a few minutes? See the best breathing exercise to immediately reduce your blood pressure. 5. Diabetes – several diabetes studies have found that vinegar may help lower glucose levels. Taking two tablespoons of apple cider vinegar before bed lowered glucose levels in the morning by 4%-6%. 6. Candida and Yeast Infection Cure – stops sugar cravings. 7. Allergies – it’s been said that when ACV is taken at the first sign of an allergy, one can completely stop the histamine response. This is thought to be caused by the high potassium level. You can try this recipe: Equal parts of Bragg’s Raw Organic Apple Cider Vinegar (one tbsp each) in a glass. Drink a shot first thing in the morning on an empty stomach. You can repeat this 3 times a day. If you can’t bear the taste, add honey or molasses to sweeten up the deal. Drink plenty of water during the day, it’s important. Be sure to sip slowly, as the ACV will burn as you swallow. 8. Arthritis, Stiff joints, and Gout cure– before each meal drink a glass of water containing two teaspoons Apple Cider Vinegar. Give it at least three weeks to start working. 9. Acid reflux and Heartburn Cure – strengthens stomach acid. (Weak stomach acid that causes acid reflux). 10. Sunburn – add a cup of apple cider vinegar to your bath and soak for 10 minutes. 11. Topical skin burns: apply ice-cold apple cider vinegar to prevent blistering. 12. Swelling Hands and Feet Relief – are your hands and feet feeling tired and swollen after a long day? Treat yourself to a personal spa massage by rubbing apple cider vinegar on them. 13. Bee or Jellyfish Sting Relief – dot the irritated area with vinegar and relieve itching. 14. Mosquito and Other Bug Bites Relief – use a cotton ball to dab mosquito and other bug bites with ACV straight from the bottle. 15. Remove Warts – apply a lotion of half ACV and half glycerin. Apply daily to warts until they dissolve. 16. Acne Cure – ACV regulates the pH of your skin. Dilute ACV with two parts water, and spread the concoction over your face with a cotton ball as a toner, after washing your face at night. Repeat in the morning before applying moisturizer. 17. Gallbladder Pain – ACV is one of the most powerful home remedies to naturally stop a gallbladder attack – In 15 minutes! For all health purposes, I remind you to look for raw, unfiltered, unpasteurized, organic “mother” ACV, like Bragg’s Organic ACV. 18. Rinse for Glowing Hair – ACV is an excellent rinse for your hair after shampooing, to add shine and glow to tired looking hair. Fill an old shampoo bottle with 1/2 a tablespoon of ACV and 1 cup of cold water. Pour through your hair after shampooing several times a week. 19. Eliminate Dandruff – mix 1 part ACV with 3 parts warm water to balance scalp pH and control dandruff. You can also apply undiluted vinegar to the scalp. Allow it to penetrate, and then wash with a mild shampoo. 20. Age spots Remedy – dab areas with straight ACV and leave on overnight. 21. Overnight Facial –pat some ACV on your face before you go to bed, for more youthful skin and fewer blemishes. You’ll be surprised at your smooth and soft skin when you wake up in the morning. 22. Keep Fruits Fresh – prepare a mixture of one part ACV and 10 parts water. Dump your fruit (especially berries, that don’t last long) into the mixture and swirl around. Drain, rinse and pop in the fridge. The vinegar kills any mold spores and other bacteria that might be on the surface of the fruit. Fruits (and even berries) will last a week or two longer. 23. Cleaning: mix 1/2 cup of apple cider vinegar with 1 cup water, to clean and disinfect microwaves, bathroom tiles, kitchen surfaces, windows, glasses and mirrors. 24. Removing Fruit Stains – if your hands are stained from berries, dab some straight apple cider vinegar on the stains and they will magically disappear. 25. Clean rust from tools, bolts, and spigots. Soak the rusted tool, bolt, or spigot in undiluted vinegar overnight. 26. Kill grass on walks and driveways – pour full strength (white vinegar) on unwanted grass. 27. Kill Weeds. Spray full strength vinegar on the weeds until plants have starved. 28. Clean Scorched Iron – heat equal parts ACV and salt in a small pan, rub the mixture on the cooled iron surface to remove burned stains. 29. Freshen up Cut Flowers – add 2 tablespoons vinegar and 1 teaspoon sugar for each quart of water. 30. Make Fresh Flowers Last – add 2 tablespoons of vinegar and 3 tablespoons of sugar per quart of warm water. Stems should be in three to four inches of water. 31. Eliminate Animal Urine Stains from carpet – blot up urine with a soft cloth, flush several times with lukewarm water, then apply a mixture of equal parts vinegar and cool water. Blot up, rinse, and let dry. 32. Keep Ants Away. Spray vinegar around door and window frames, under appliances, and along with other known ant trails. 33. Prevent Frost on Car Windows – cover the windows at night, with a mixture of 3 parts white vinegar and 1 part water. 34. Get Rid of Lint in Clothes – add 1/2 cup of vinegar to the rinse cycle. 35. Stop Lint From Getting Stuck on Clothes – add 1 cup of ACV to each wash load. 36. Keep Bright Colors from Running – put clothes in full strength white vinegar for 10 minutes before. If you really want to keep a toxin-free home, white and apple cider vinegar are one of the best tools you’ll ever have. 37. Flea Reduction – rub ACV onto your pet’s skin and add a little bit of apple cider vinegar to their drinking water. Spray ACV, diluted with water, on your furniture to repel the fleas. 38. Remove Skunk Odor from a Dog – rub his or her fur with full strength vinegar; rinse. Relieve Arthritic Condition – ACV added to your pet’s food will ease arthritis symptoms. 39. Itchy skin, hot spots or low appetite – ACV may change things around. For good appetite, use 1 tablespoon twice a day for a 50 lb dog. For itchy skin or beginning hot spots, put ACV in a spray bottle, part the hair and spray on. It will dry any skin eruption in a day. Long-term use of ACV could cause low potassium levels and lower bone density. Avoid this by not using it more than a week or so, without taking a break for another week. If you have osteoporosis, check with your doctor to see if it’s safe for you. What is the “Mother” in the Apple Cider Vinegar? Organic, unfiltered apple cider vinegar (like Bragg’s) also contains the “mother” – strands of proteins, enzymes and friendly bacteria that give the product a murky appearance. In short, ACV with the mother is apple cider vinegar that still has the culture of beneficial bacteria that turns regular apple cider into vinegar in the first place. Can You Take a Bath in Apple Cider Vinegar? Yes, and it’s a good idea too. Add 1-2 cups of apple cider vinegar to your bath. Soak for 20-30 minutes, make sure to get your hair wet as well and rinse off your face with a washcloth. Follow bath with a shower to rinse off the excess vinegar water. What about you? 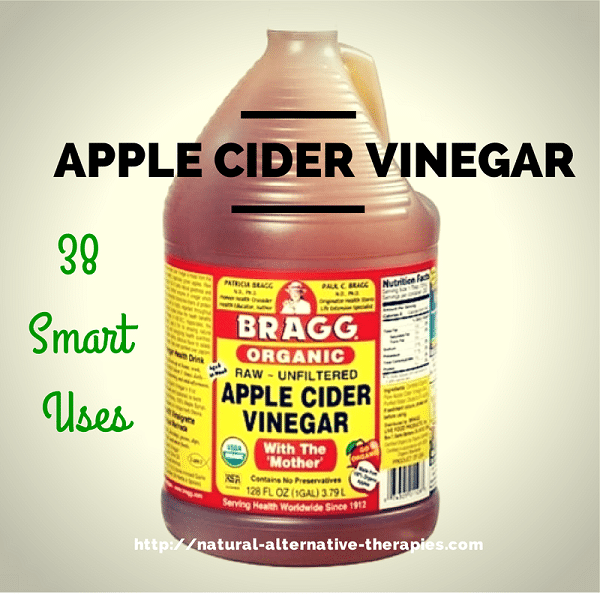 What’s your favorite way to use Apple Cider Vinegar? Always used vinegar rinse when I was a teen with natural blonde hair. And does a very good job on faucets that have hard water stains. And ants won’t cross it. It drives me crazy when I see spots on my corian counters in the kitchen and in the bathroom everyday I wipe them with a cloth that has been saturated with vinegar and rung out.The vinegar helps to remove any water spots and keeps calcium deposits from developing. I had my gallbladder out back in the 1980’s. Up until 3-4 years ago, I had experienced no pain. I couldn’t believe it when the terrible pain started coming back. Long story short, I have been up all night with this gallbladder pain. Then I found your website and your advice on how to release the pain. I took 2 teaspoons a ACV and 8oz of apple juice and the pain is gone! And accidentally discovered that acv eased pain. I used some acv on my neck to remove some warts I had bothering me. And woke not feeling the terrible pain I had in my neck. 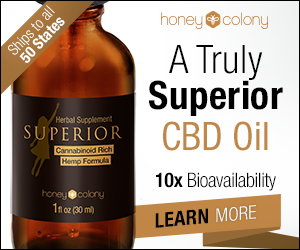 I dI’d the research and found out that it was a great way to ease pain associated with cervical spondylosis both as a topical massage and an oral dose.